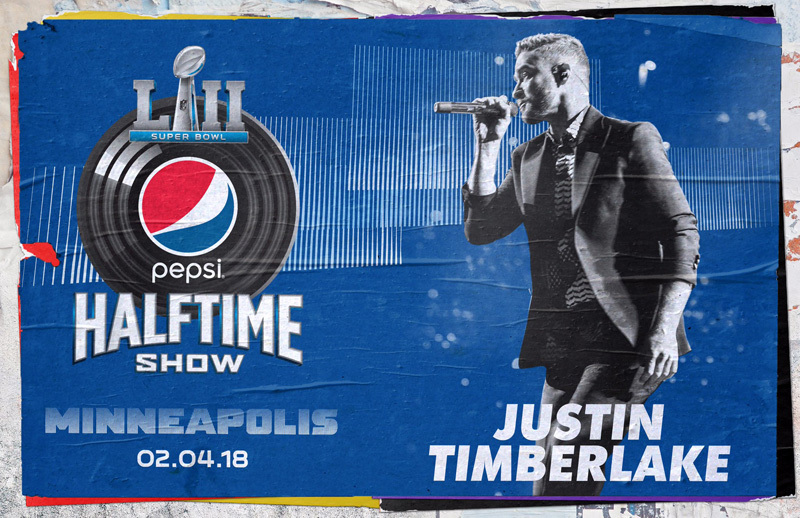 Justin Timberlake will headline the Pepsi Super Bowl LII Halftime Show on NBC at U.S. Bank Stadium in Minnesota on Sunday, Feb. 4, 2018. A multi-talented actor and musician, Timberlake has won ten Grammys and numerous other awards. Born in Memphis, Tennessee, he won two Grammys for his debut solo album, “Justified.” He’s been recognized for a range of performances, including Best Male Pop Vocal Performance, Best Pop Vocal Album, Best Dance Recording and Best Music Video. Timberlake was most recently nominated for an Academy Award for the song “Can’t Stop the Feeling!” from the film Trolls for which he won his 10th Grammy. Timberlake has appeared in diverse films including: Alpha Dog, Black Snake Moan, Shrek the Third and The Social Network. He has also won four Emmys for his appearances on Saturday Night Live. Timberlake is a co-star of the upcoming film Wonder Wheel, which opens later this year. This will be Timberlake’s third time performing on the Super Bowl Halftime stage, giving him the distinction of having the most appearances by an individual entertainer. He previously performed at Super Bowls XXXV and XXXVII. Timberlake joins an esteemed list of recent halftime acts including Lady Gaga, Coldplay, Beyoncé, Katy Perry, Bruno Mars, Madonna, The Who, Bruce Springsteen & The E Street Band, Tom Petty and the Heartbreakers, Prince, the Rolling Stones, Paul McCartney, U2 and more. 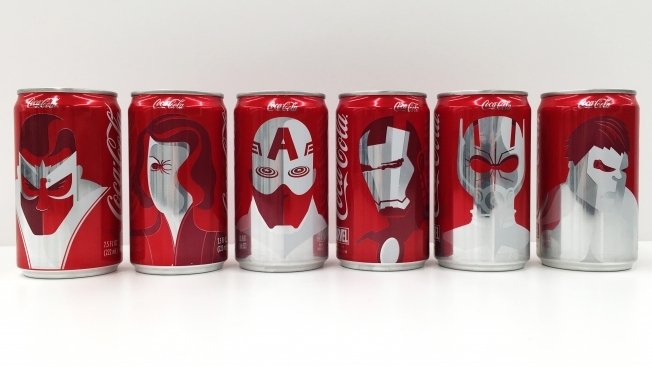 The Pepsi Super Bowl Halftime Show is the most-watched musical event of the year. Last year’s show was the most-watched musical event of all-time across all platforms and the most-watched Super Bowl Halftime performance in history through broadcast and digital channels, reaching more than 150 million unique people, garnering more than 80 million views and totaling 260 million minutes watched. Super Bowl LII marks Pepsi‘s sixth year as title sponsor of the Super Bowl Halftime Show and 16th year as an NFL partner. The Pepsi Super Bowl LII Halftime Show is an NFL Network production and will be executive produced by Ricky Kirshner and directed by Hamish Hamilton. The Super Bowl commercial will be a 60-second spot and will air during the second quarter of Sunday’s CBS telecast. U2 are set to return this spring with a new as-yet-untitled Danger Mouse-produced album and you can get their new single for free! 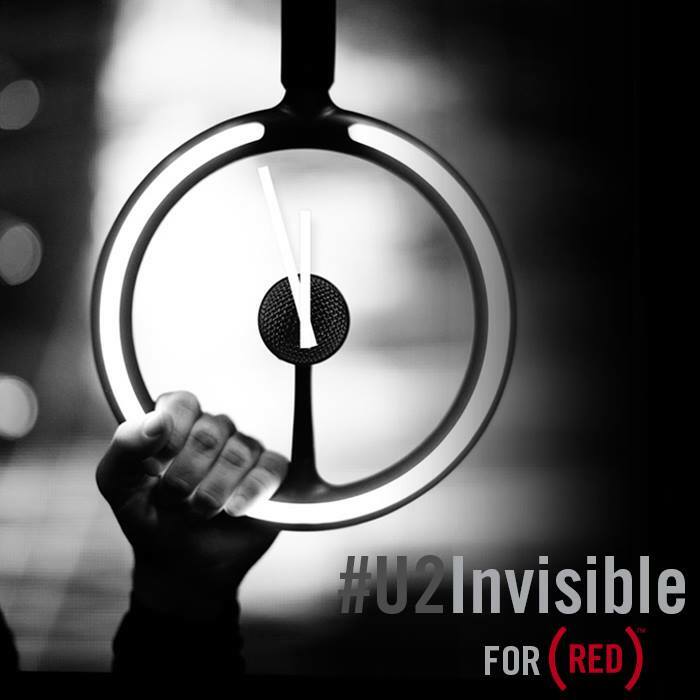 On Super Bowl Sunday (February 2, 2014) U2 will offer a free download of their new song “Invisible” and do something great for the world in the process. “Invisible” will be available as a limited-edition free download on iTunes for the first 24 hours after the Super Bowl commercial airs. For every download during that time, Bank of America will donate $1 (up to $2 million) to the Global Fund to Fight AIDS, Tuberculosis and Malaria, to provide life-saving HIV/AIDS treatment, testing and prevention services in many of the world’s poorest countries. Beyond the downloads, U2, (RED) and Bank of America expect to generate more than $10 million in donations and funding for the campaign. U2 have also filmed a Super Bowl commercial, so expect to learn a whole lot more about their upcoming new album while you’re watching the big game. 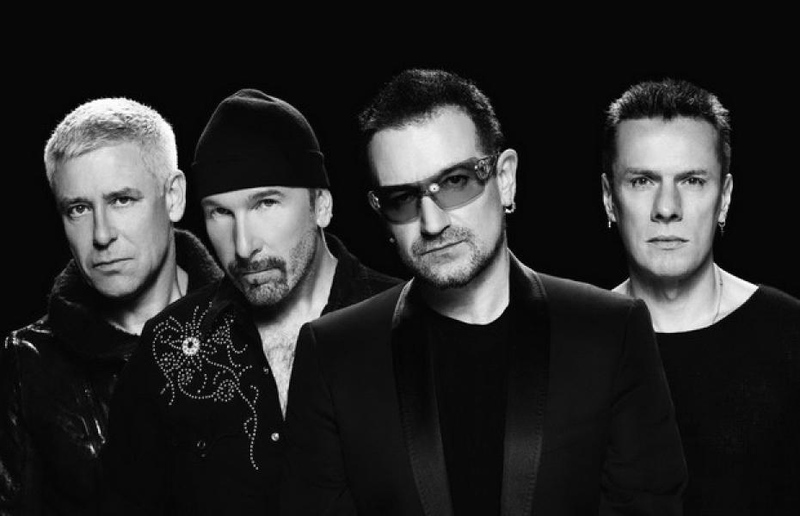 U2 are planning an April 2014 release for their new album, which they will announce with a commercial during the Super Bowl. The Irish rockers worked on the album with producer Danger Mouse at Electric Lady Studios in New York. The band has been working on new material since 2011, when they finished the lengthy world tour that supported their 2009 album, No Line on the Horizon. Last month, Clayton described the songs as a “bit of a return to U2 of old, but with the maturity, if you like, of the U2 of the last 10 years.” At the time, he said the group had selected 12 tracks and were hoping to complete them by the end of November so they could enjoy Christmas.